An international litigation and business law firm, Sedgwick Detert Moran and Arnold is a distinguished law firm that extends quality legal counsel in a variety of areas including risk management, litigation management, trial, appellate and more. The experienced and highly knowledgeable team of attorneys gives this office an edge over others law firms. It has some of the world's largest corporations in its client portfolio. The firm is known for extending practical solutions rather than merely talking with no real results. In fact, its results speak for themselves and stand as attestation of what this firm can do for people in need. Since 1933 Sedgwick Detert Moran and Arnold has been serving the clients around the world with its superior legal counsel. Having a team of over 370 experienced attorneys, the firm has offices around the world that enables people it to reach out to it conveniently. The staff is always willing to serve clients and provide tailored legal solutions after understanding their individual concerns. Excellent client service, integrity, creativity and the highest quality legal services include the core values of Sedgwick Detert Moran and Arnold. Since its inception the firm has held on to these values and even today it follows them even better. The staff strives hard to stick to these values so that the clients can be offered with the best legal guidance. The winning strategies and deep understanding of the diverse needs of people has helped Sedgwick Detert Moran and Arnold come this far. Today, it has emerged as one of the most trusted law firm in the region and handles any complex legal issues to get things in favor of its clients. The profound experience, commitment to excellence and creative approach makes this office an ideal one for those in need of legal counsel that can promise success.  Q:Attorneys Sedgwick Detert Moran can help me in which legal areas? A:Attorneys Sedgwick Detert Moran are known for providing cutting edge legal solutions in a number of areas. You can seek all kinds of legal help from them in areas such as the following: intellectual property, real estate law, banking and finance law, criminal defense, employment law, business law, corporate finance ;aw, securities and trust law, product liability law, class action, healthcare law, insurance law, environmental law, and many more areas.